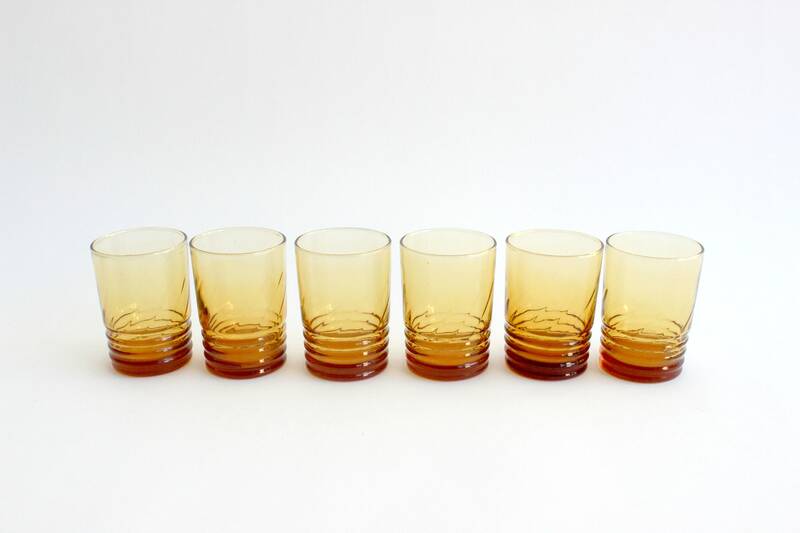 Set of 6 - Amber glass tumblers. 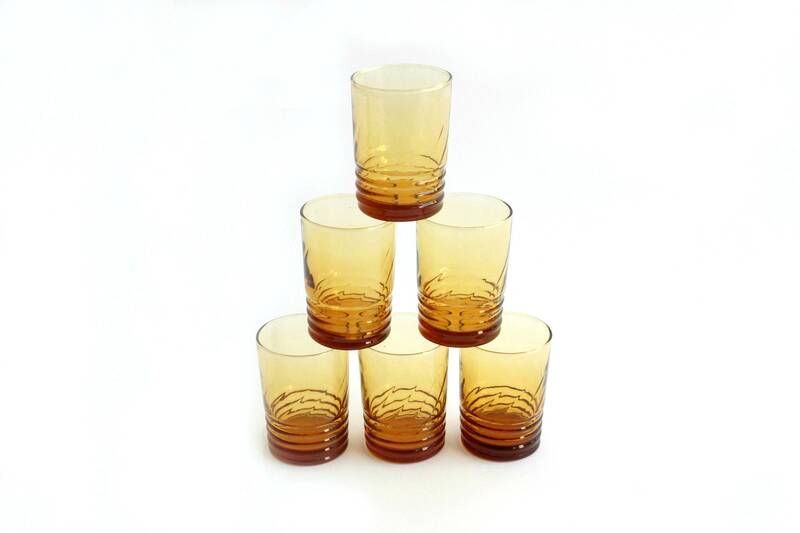 Small yellow glasses perfect for serving water or juice. 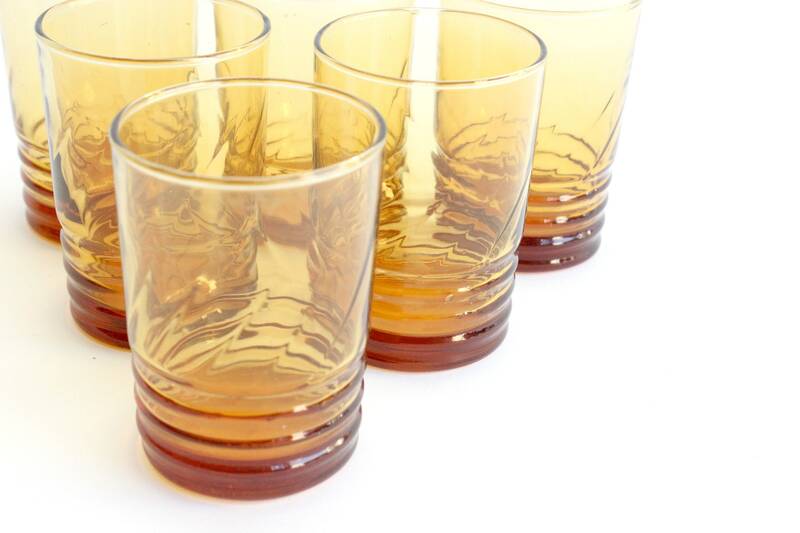 These will look great on your brunch table! 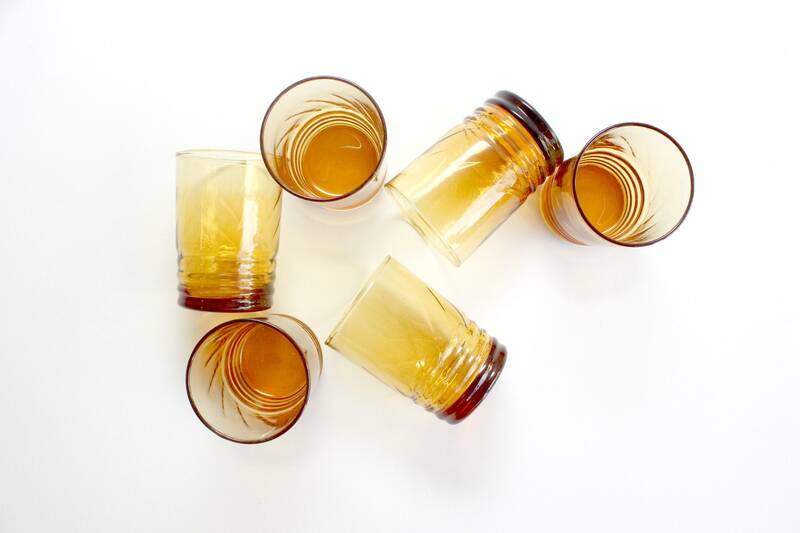 Each glass measures 2.5 inches wide, 3.75 inches tall and holds about 6 ounces.